Sportsman Front Street Tires 26X7.50-15LT Max Inflate/Load 1000 Lbs At 30 PSI. 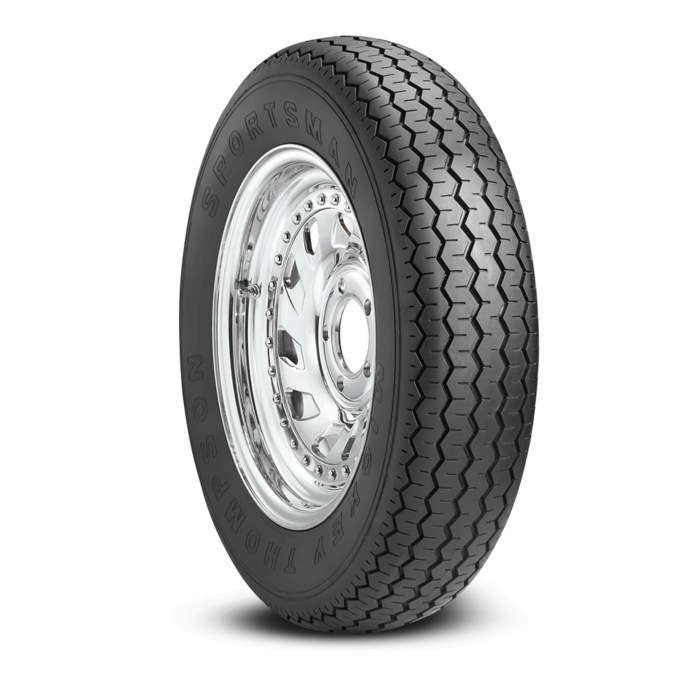 Narrow front tire that compliments our Sportsman Pro and ET Street tire lines. Available in 8-ply for heavier load carrying capacity on trucks and heavy muscle cars. Since 1963, Mickey Thompson Tires has always been an Enthusiast Brand. Mickey Thompson built his products to Win, he built them from necessity. We hold fast to Mickey’s values, his unceasing drive for faster, better. Warning: Mickey Thompson Sportsman Front tires are Bias Ply. It is not recommended that radial and non-radial tires be mixed on the same vehicle.